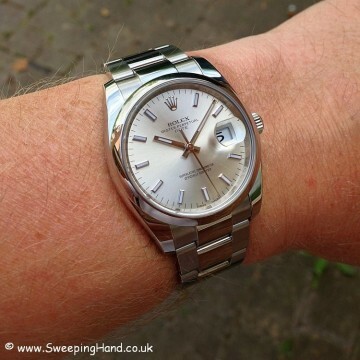 Here we have a like new Rolex Oyster Perpetual Date reference 115200 from 2015 in mint condition. The watch features the latest steel Oyster Monobloc middle case, screw-down case back and Twinlock double waterproofness system winding crown. 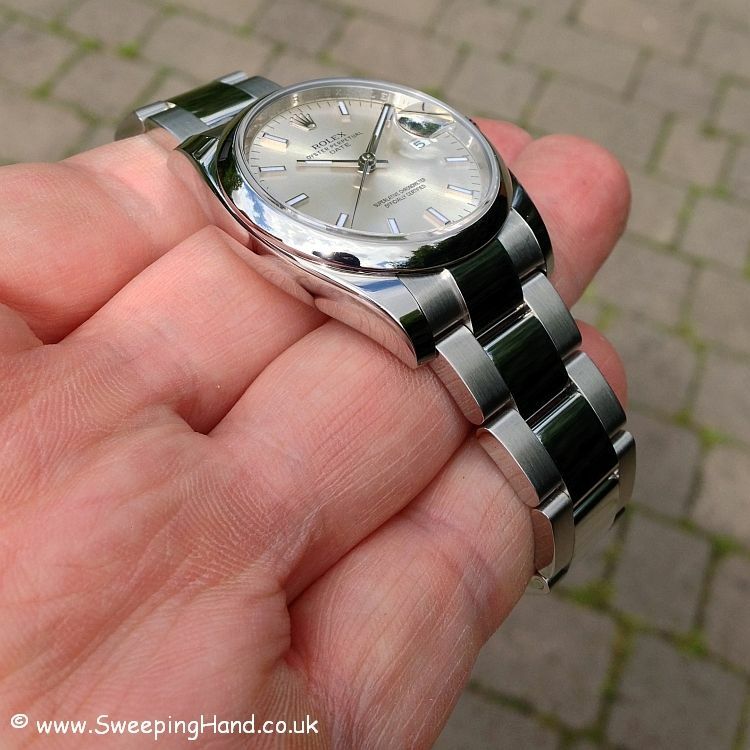 This new case style from Rolex has larger polished lugs than previously and although measuring 34mm wears as a much bigger watch with great wrist presence. The watch features a scratch-resistant sapphire, Cyclops lens over the date and is waterproof to 100 metres / 330 feet. 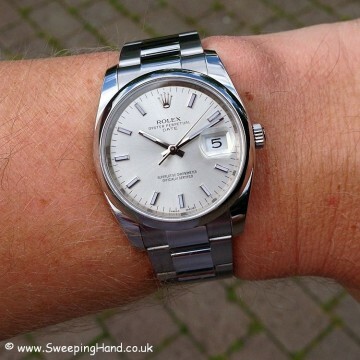 The movement is an Officially certified Swiss chronometer (COSC) calibre 3135 manufactured in house by Rolex and featuring a Paramagnetic blue Parachrom hairspring and a Bidirectional self-winding via Perpetual motion rotor. This watch has the classic silver dial with baton hour markers, central sweep hour, minute and second hand with precise stop for accurate setting and with a quick set date function. 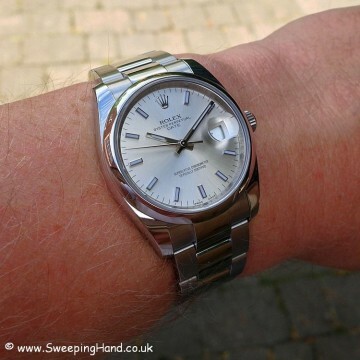 The bracelet is the famed Oyster 3 piece flat link 904l steel version with brushed outer links and highly polished central links finished off with an Oysterclasp with Easylink comfort extension link. 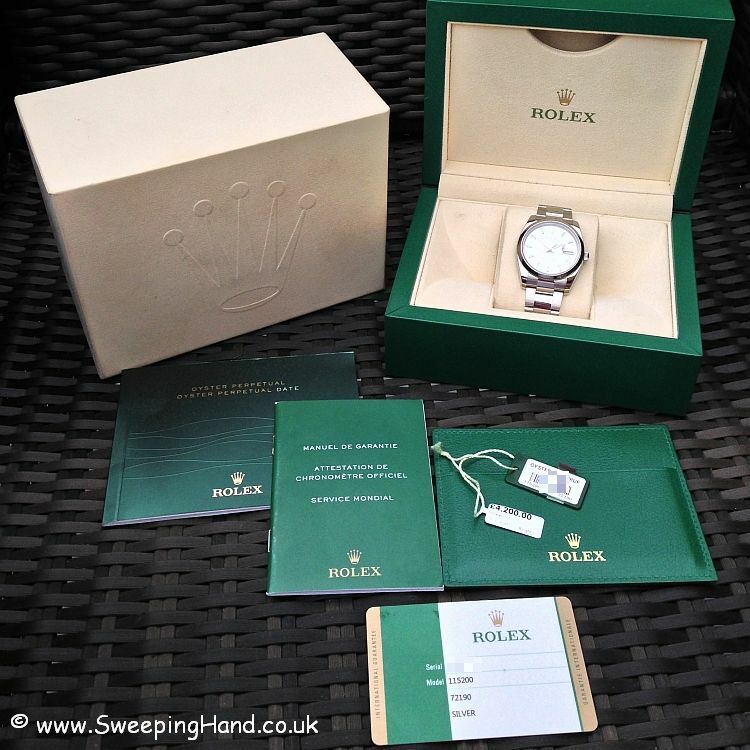 The watch comes with everything from new – inner and outer boxes, Date booklet and Guarantee booklet, wallet with Rolex International Warranty card valid for a further 29 months and original serial number swimpruf hangtag and price tag showing the RRP of £4,200. 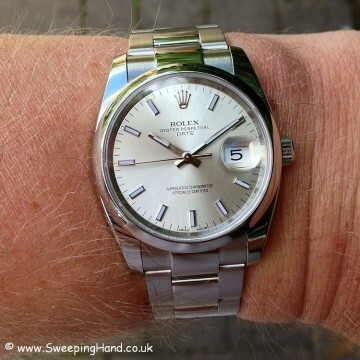 A stunning full set warrantied watch with a good saving over the new price. 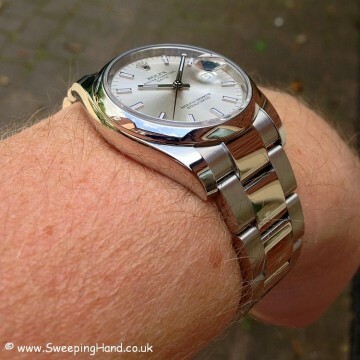 That’s a very smart watch, Jason. 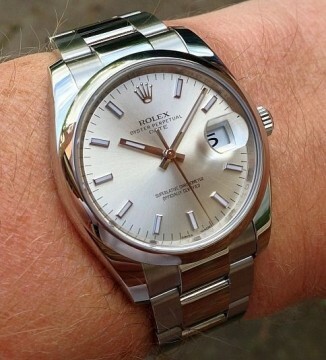 Not usually a fan of new watches but that is a timeless classic. Cheers Steve – yes it’s a nice simple classic and now on hold for a fellow northerner!